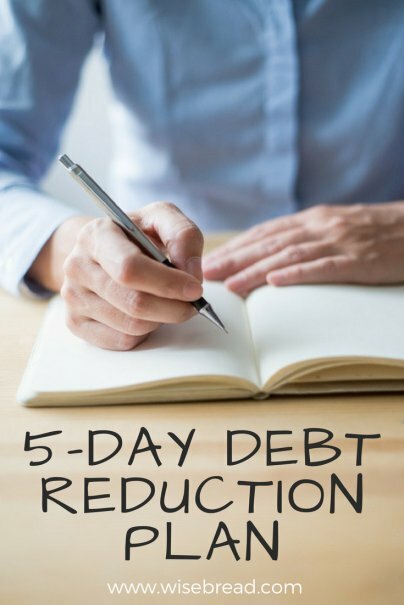 The harsh truth about debt reduction is that many people don't stick with their plan long enough to see real results. They start off motivated and excited, but they lose steam after a while and never cross the finish line. Paying bills isn't super fun, after all. But if you want to get back in the black, it's important that you think long term without false expectations of overnight success. Luckily, there are plenty of tricks to stay on track, or get back on track if you've lost your way. Here are a few to consider. As I mentioned in the previous entry of this series, you can pay off balances successfully using the avalanche or snowball debt methods or a combination of both; you have to decide which method works best with your psyche. Just because you start off using one method doesn't mean you can't change it up. If you start the avalanche method and notice your motivation dwindling after a few week or months, give the snowball method a try, or vice versa. It's a matter of trial and error and finding the method that builds momentum. It's hard to stay motivated if you don't track your progress. If you're carrying a large amount of debt, it can feel like you're spinning your wheels and getting nowhere. It can take awhile to make a noticeable dent in your balances, and if you don't think you're making progress, you're likely to give up. Although you don't have to obsess about your balances or check statements on a daily basis, it doesn't hurt to recalculate what you owe every couple of months and post your updated balances. Sometimes, we need a visual reminder of our progress to stay motivated. Paying off debt is hard work, so it's okay to reward yourself for a job well done. This doesn't suggest going on a small spending spree every time you make a payment, but you can (and should) reward yourself with an inexpensive treat for hitting milestones. "Humans are emotional not logical creatures. Even though logically you don't need to splurge to pay off a debt faster, this small reward triggers the need you have for emotional fulfillment," says investing blogger Trey Henninger. "It's important to have these small rewards in order to be successful in a hard task like paying off credit card debt." If you're on a spending freeze and haven't seen a movie outside the house in months, take yourself to a movie after paying off the first $250 of debt, and then plan another low-cost activity after paying off the next $250. Just make sure you pay with cash and not credit; that'll defeat the purpose, and I don't want to come to your house and wag my finger at you. Sometimes, we do better when we're accountable to somebody else. Not that you should go around announcing your debt to everyone, but a trusted friend or relative can be the right person to help you stay on track. This person can check in with you from time to time, help you gauge your progress, and offer support when you're on the verge of burnout or resisting an impulse buy. Getting an accountability partner means you'll always have someone in your corner encouraging you. At the same time, stay away from those in your life who encourage or trigger spending. If you have a friend who always wants to shop or go out to dinner, let them know up front that you're on a spending hiatus so they'll give you the space you need to work on your finances. Or, better yet, invite this person to join your debt-eliminating crusade as well; they could probably benefit from it. Since it can take months or years to pay off debt, you might forget why you started this journey in the first place. Whenever you feel like giving up, or if you feel that your efforts aren't paying off, think back to the day you decided to work on eliminating your debt. What was your motivation? Did you want to improve your credit so you could buy a house, or were you tired of stressing about high balances? Whatever the reason, focus on the big picture and imagine how amazing your life will be once you are debt-free. The Debt Is Gone — Now What? Finally, you've paid off your debt and you can breathe a sigh of relief. It was a rough road and at times you didn't think you would succeed, but you did and it's an indescribable feeling. For the first time you know what it feels like to have no debt and disposable income, and your mind might start thinking of uses for the extra cash. One of the worst things you can do, however, is to take your disposable income and go on spending binges. Yeah, you can have a little fun, but now that your debt has dwindled, it's the perfect opportunity to fix other areas of your personal finance. Building a solid financial foundation isn't only about getting rid of debt. Saving should also be a priority, and now that you're debt-free, you can focus on saving your money. You've already done the hard part, which was to search and destroy unnecessary expenses. Rather than add these expenses back into your budget, take the money you were using for debt repayment and start paying yourself. With an adequate savings, you're less likely to end up in debt again. If you were giving a creditor $300 a month, think of your savings account as another expense and deposit this amount into your account every month. You can slowly build a three to six-month cushion, start a down payment fund for a house, or if you haven't already, open a retirement account or increase your retirement contributions. Whatever you do, never stop saving. Bad debt can rob you blind. It can take your joy, your motivation, and your options. But once you start on the path to being debt-free, the dark cloud hanging over you becomes lighter and lighter. You can fight back against debt, but you have to take it one small step at a time.